James Smith is an authorized dealer for dock Industry leader, On the Water Designs. On the Water Designs has been specializing in designing and manufacturing docks and marine systems for more than 12 years. Their innovative marine systems consist of Leisure Series Aluminum Pole docks, Modular Floating docks, Designer Series Floating docks, Pole and Tower docks, Boat hoists, PWC Lifts and Swim rafts. On the Water Designs started with a focus on custom docks and have maintained a unique understanding of dock materials, associated products and how they’re used to get the results you need for your project. 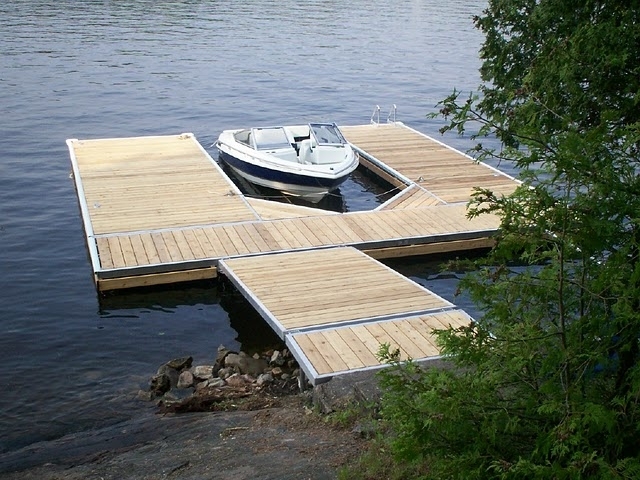 The possibilities are endless with On the Water Design's full line of dock and dock accessories including Pontoon Floating Docks, Floating Docks, Pole Docks, Tower Docks, Boat Lifts, Marine Railways, Swim Rafts and Accessories.